Available everywhere in Lanzarote, as well as in the other Canary Islands and throughout Spain. Everywhere that you can receive 3G / 4G connection with your phone, we can deliver home internet via 3G /4G. Our 4G Internet is mobile, which means you can take your router with you wherever you go. 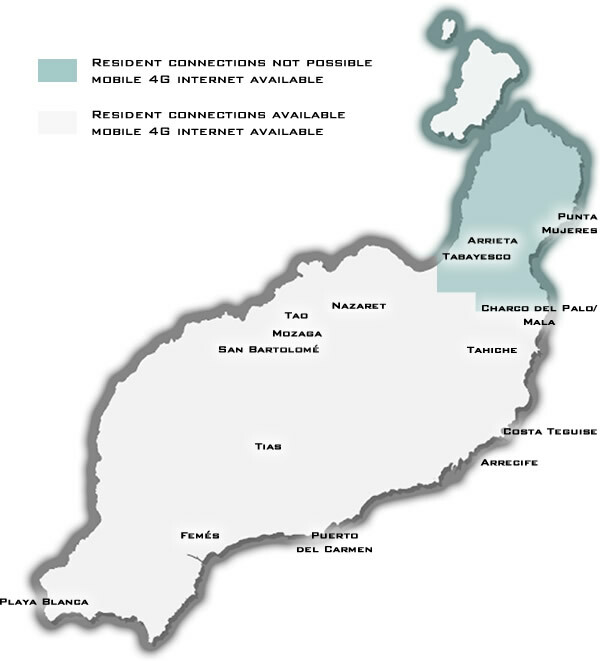 The service will work in Spain as well as in all the Canary Islands. We do not deliver tourist connections at this moment. We will launch new services (tourist internet) in March 2018. These services will be announced on our website.